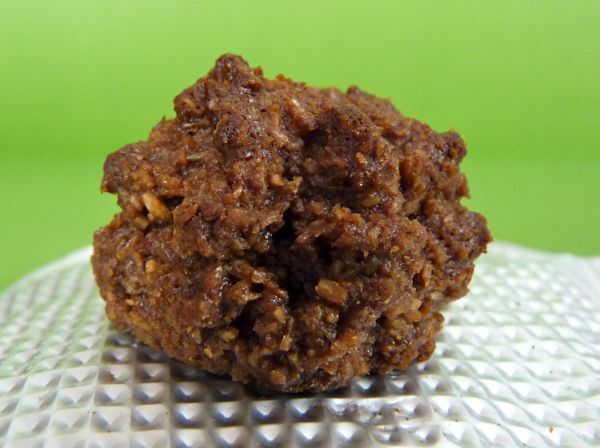 Made with unsulfured coconut, and a heavy dose of sugar, these cocoa-colored gems represented the last in a series of new macaroon flavor trials this week. 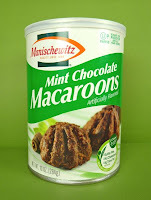 When I lifted open the foil tab on this container, I was greeted with a mint smell, with hint of cocoa and coconut, that was a bit stronger/more manufactured than what I'd expect from natural mint. 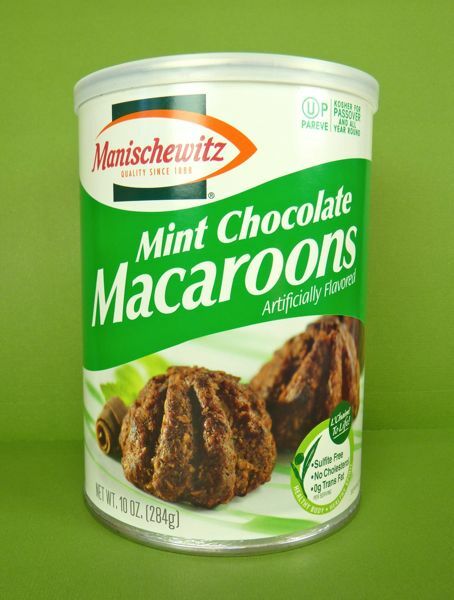 However, these Manischewitz Mint Chocolate Macaroons were clearly labeled "Artificially Flavored," so this was not a great surprise. Tomorrow: a coconut and cocoa drink -- to usher in Chocolate Beverage Theme Week.